Everyone is living for something. 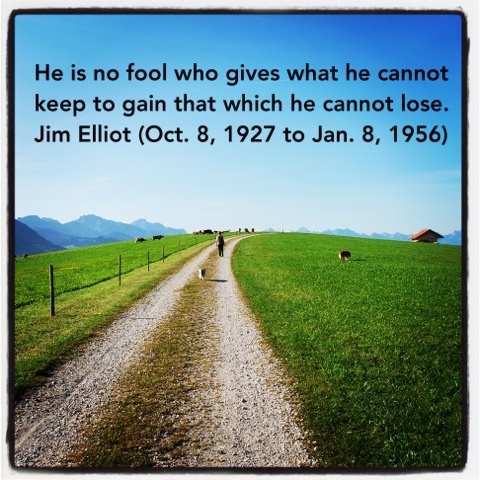 What if the answer you seek causes you to uproot everything you know,to follow a call God places on your life? 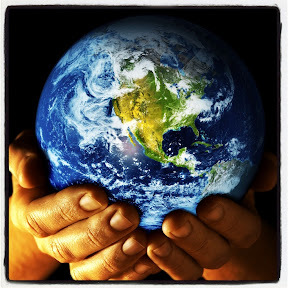 It might mean you sell everything the world/America tells you is necessary to be a success, and move your entire family to a Southeast Asian country recovering from the tsunami. For Hilary Alan - her husband Curt - and their two teenagers, the answer is yes. What happens, as recounted in her memoir Sent is something considered radical to some, and amazing to the Alans. 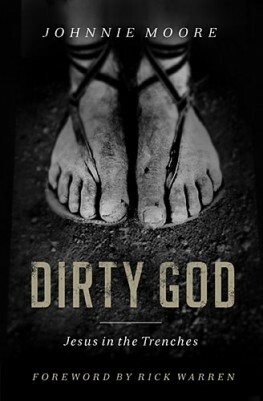 Sent is an amazing and interesting book. It challenges you to think outside of the 2.5 kids/great job/American success paradigm. It shows through the Alan's experiences (including the teens), how following God can be a challenge but oh, so rewarding. 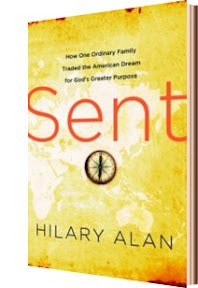 I needed to hear what Alan wrote - maybe not to join the cross-cultural church planting ministry she advocates, but to simply be reminded of the things God can do in your life - when you simply follow God's call on your life. I especially appreciated Alan's observations on her experience - and how simply living in community with her neighbors - helped spread the gospel of Jesus more effectively than any "force fed preaching." I was surprised at a few things - including how a friend was treated after a stillbirth/miscarriage by her family, and how another person within Alan's world was forced to change career plans because of a disfiguring accident. I think one of the things that makes this a solid book is that it 1) isn't gratuitously full of self promotion and 2) It gave me a new appreciation for some of my friends serving overseas. In all, I give this book a solid four out of five. It's a spiritual memoir that is solid and encouraging. Note: As a freelance journalist, I was provided a copy of this book by the publisher's book review service, Blogging for Books. This review was not influenced by a free book - just in case you (or the FTC) were worried about this detail. I've heard the saying "Live, Laugh, Love." To Live, you need to remember to laugh and love. To love, I think you need to be surrounded by friends. 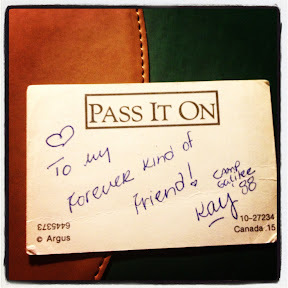 Today I'm I'm thinking about a friend who's friendship spans the years and miles. 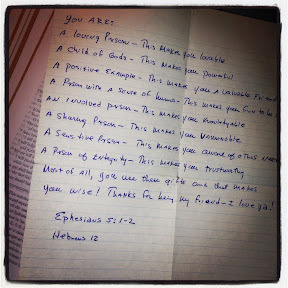 Sometimes, I need to remember to simply live - and if I can live half of her life of faith, it will be amazing. 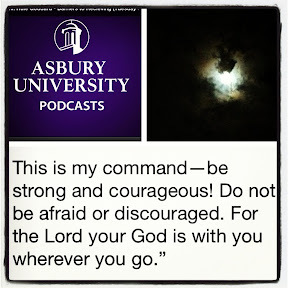 Tonight, I'm thinking about God's love - thanks to a couple of podcasts from Asbury University. 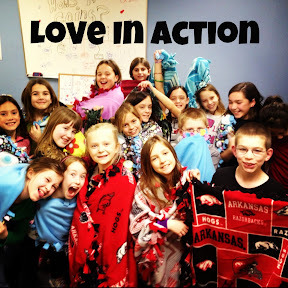 I'm also thinking about what the tweens in my life teach me about love. No major profound words tonight. Just soaking in what God seems to be teaching me.... all while I'm trying to receive God's love. Day 8: Evil. Human Trafficking. 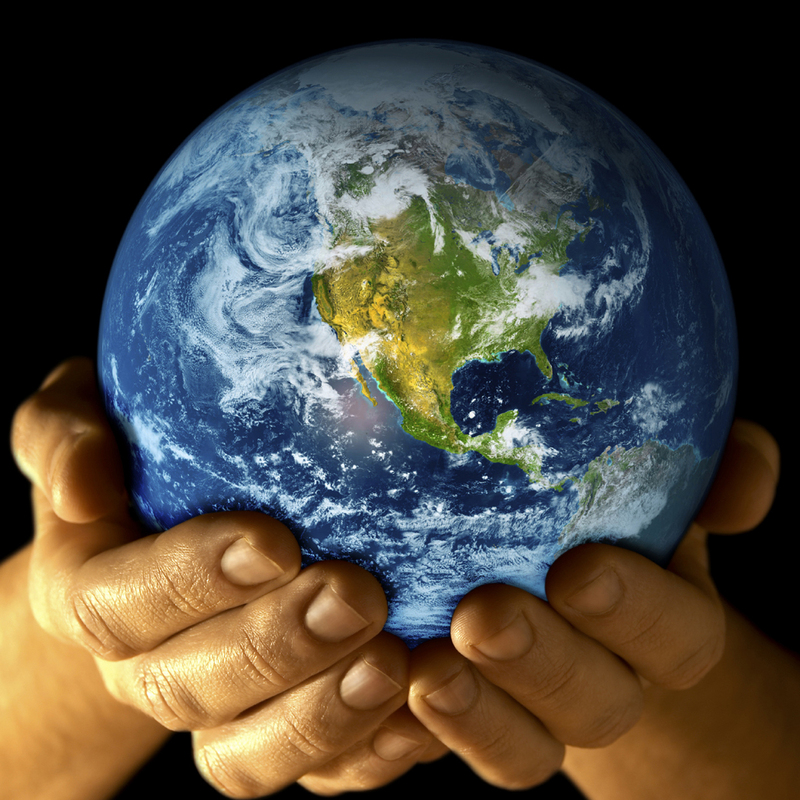 It doesn't take a rocket scientist to know that evil exists in this world. I don't even need to dig up my papers/assignments from a long-ago "Problem of Evil" philosophy class from seminary. 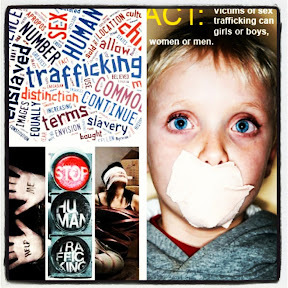 Human Trafficking seems to be an evil that is growing larger with each passing day. It's not just an "overseas" issue or a "big city" issue. It happens where you least expect it. Next door. If we're called to help the widows and orphans (those who can't take care of themselves) - shouldn't those caught in the snare of Human Trafficking be included in that as well? I want to learn more about this issue - which has been called modern day slavery. Here's to doing something about evil. Last night, I had an opportunity - thanks to a friend - to go to a screening of Home Run. The movie tells the story of baseball all-star Cory Brand, who must face life spiraling out of control both on and off the field due to his addiction to alcohol. When his team suspension and a DUI sends him back to his hometown, Cory finds himself coaching his brother's youth baseball team - and spending eight weeks in the only recovery program in town, a Celebrate Recovery. 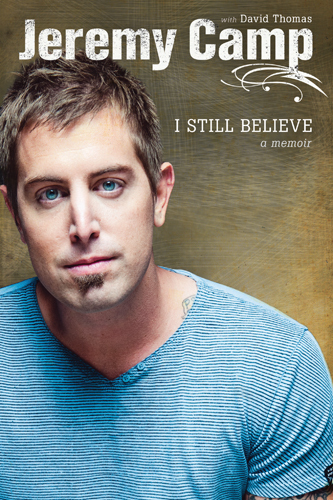 Ultimately, as Cory comes to terms with his hurts, habits and hang ups (the family he left behind, a painful past with an abusive father and an addiction to alcohol) he begins to find freedom and hope - through the redemption provided by faith in Jesus. "Home Run reminds us of the power of forgiveness, the richness of redemption, and the wisdom of trusting God to revive us." - Max Lucado. 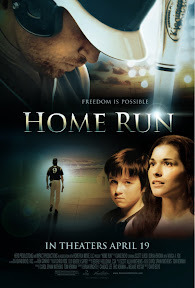 I found Home Run to be a powerful movie. It held my attention. It made me want to tell a friend who is establishing a new CR ministry all about it. 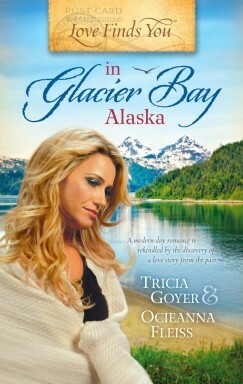 Just like Lucado said, the movie is full of redemption and hope. Ultimately, through an intense struggle, Cory learns to deal with his past in a way that brings about restoration in a variety of ways. As a side note, the recovery group - Celebrate Recovery - was portrayed in an accurate and honest way. The layers of faith were appropriate to the story. It was not overwhelming or gratuitous. 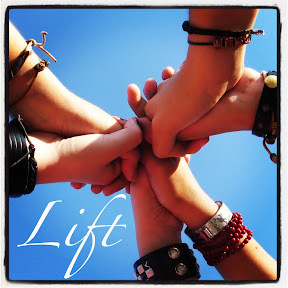 The testimonies given (by both men and women) during the worship setting were powerful. 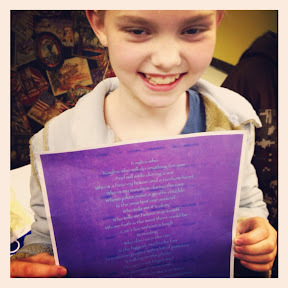 The scenes during the open share group gave the story another layer of authenticity. This is not a "preachy" movie. It's a movie that accurately portrays faith in a honest, engaging way. It is instead, a story that is strong, well written and has a powerful message. On the scale of one to five, it's definitely a four. The movie will leave you thinking. It will hopefully introduce people not only to Celebrate Recovery, but to the redeeming power of Jesus' love. 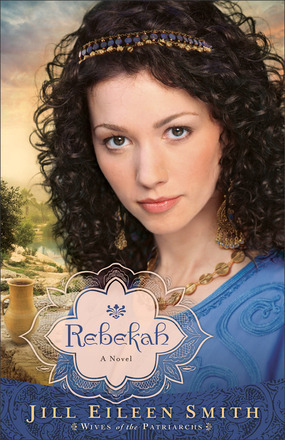 Jill Eileen Smith is the author of the bestselling Michal, Abigail, and Bathsheba, all part of The Wives of King David series, and of Sarai, book 1 in the Wives of the Patriarchs series. Her writing has garnered acclaim in several contests. 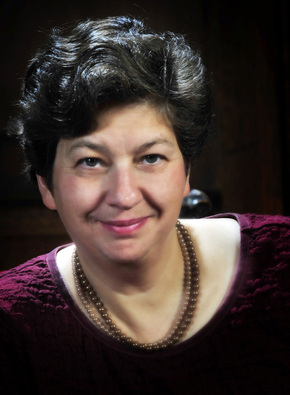 Her research into the lives of biblical women has taken her from the Bible to Israel, and she particularly enjoys learning how women lived in Old Testament times. Jill lives with her family in southeast Michigan. Download reader resources, find out more here! 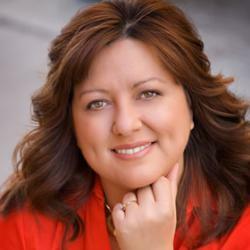 Jill Eileen Smith will be the featured guest during a LIVE Interactive Video Chat Session sponsored by "Shindig" at 7 p.m., Tuesday, Feb. 19, (EST). It's free. Participants will have a chance to meet Jill and ask questions! Join best-selling author Jill Eileen Smith as she presents ten facts and/or possibilities you might not know about the Patriarch Isaac's wife Rebekah. Do you have a question about the people in the Bible you've always wanted to ask? 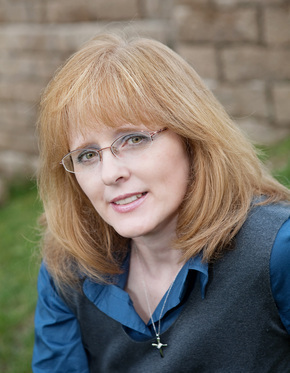 Jill will take questions about biblical characters, biblical fiction, and about any of her books in the Wives of the Patriarchs or Wives of King David series. So please, plan to join us! Go here: http://shindig.com/event/jilleileensmith to find out more and to RSVP for the event. I thought a lot about what to take for this picture. Actually, this entire list is making me stop, ponder and struggle with each day's theme. It feels like I'm diving into the thought process behind every word, stopping and examining what the theme might mean in my life. 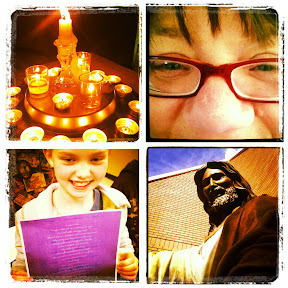 To say that it has started to make this a very unique Lenten journey, is well, an understatement. 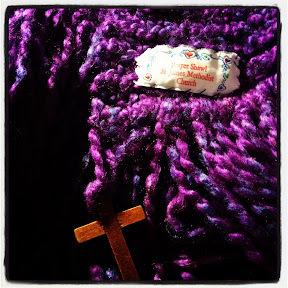 "It may even be that this is the year you'll say, Yes, God, I hear you calling. What will you have me be and do?....Where is your wandering and journeying leading you to settle down?" Who ever said one word can't have a lot of power or meaning was flat out wrong. What does it mean to be "settled." Does it mean a perfect job, 2.5 kids, a house, husband and more? Or does it mean stepping out in faith all while living out a calling given to me by God. It may also mean having a faith like the song writer Horatio Stafford, who penned "It Is Well, With My Soul" - a "praise God, in the hallways" type of song. Stafford wrote it the song at sea, as his own ship passed the spot his daughters perished in an earlier accident. Only his wife survived that tragedy. This of course, came after his family suffered tremendous setbacks and loses. Through the song, Stafford chose to say, no matter what happens, or no matter the circumstance, it was well with his soul. 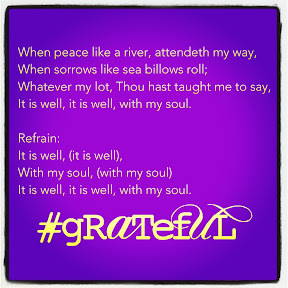 So, today, I'm "settling" taking a moment to stop, breathe and simply soak in the peace that comes from God, because it truly is well with my soul. Day 4: Injustice. Dunking Out Malaria at St. James UMC Upward. Today's photo started out being difficult. I mean, I live in the first world, and by many standards, in a pretty WASP part of Little Rock. Not much injustice in my "everyday" life. 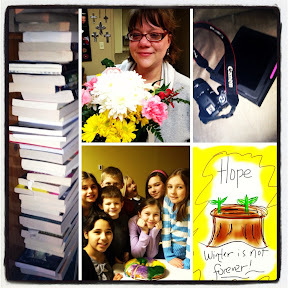 Then I started thinking about things I'm trying to teach the tweens (and other students) in the children's ministry. To think of others - instead of themselves. Several ideas poured into my brain, but the one that stuck out, is this "set" of photos. 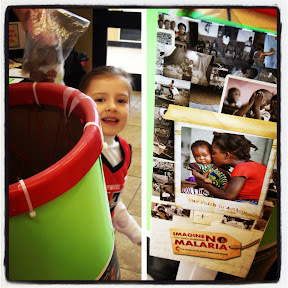 It shows one of my kidlets "dunking" change into the basket - to "Dunk Out" Malaria. It's part of the Imagine No Malaria awareness/campaign we added to Upward this year. Isn't a life worth that? You can spend $10 at Starbucks (my vice) or McDonalds or... (insert favorite vice) or the same $10 and save a life. Just something to think about this Lenten season. I came across this today on Facebook and this image has stuck with me. 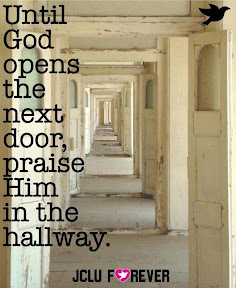 I praise God when doors open, but do I praise him when standing in the hallway waiting? Or not yet. (The hardest answer). Do I praise God at all times? Maybe that's a better question. Or at least what has been bouncing around in my thoughts. So for all my friends standing with me in the hall. May The Lord bless us and give us peace - as we praise our hearts out. It took me hours to come up with a photo to make today's theme work. 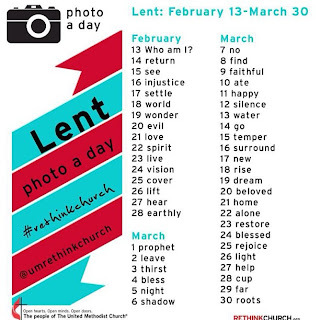 If anything, this Lenten challenge, by ReThink Church is doing just that....making me think about Lent, and how I respond to the 40 days leading up to Easter. I am struggling to remember that I need to surrender my dreams back to God. God has a plan. 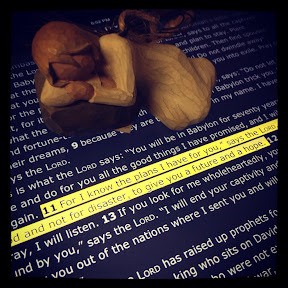 It says so in Jeremiah 29:11. I just have to have faith, pray and surrender. It's Day 1 of the reThink Church Lenten Photo A Day challenge. 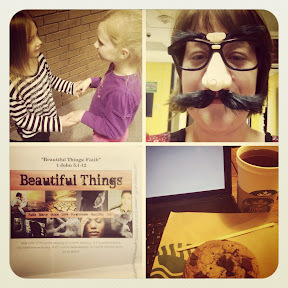 Today's theme is "Who Am I". I struggled with this challenge. 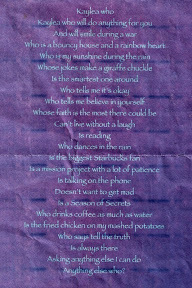 Sometimes I feel like a scrappy quilt. Lots of pieces, that create the whole. Cries when a friend surprises me with flowers - a day before Valentine's Day. Is A Writer & Photographer (Let's face it, once a journalist, always a journalist. Someone who asks questions - especially about faith issues. So here's to the first day of the challenge. It's making me think about Lent in a different way. Which is, a good thing. Sometimes I get a book to review, and well, between my life and things going on in my head, we just don't "click." Unfortunately, that was the sad case for my attempt to read The Dilemma of Charlotte Farrow. Nothing against the novel - it's well written, and it's a period piece - think "Downton Abbey" Meets Chicago. I wanted to read it. I wanted it to click, be enjoyable and well, give me something to recommend to my friends. I can still do that - and I plan to pass the book on to a friend at church, who I think, will fall in love with the storyline. Sometimes books don't take. Life gets in the way. This is one of those times. (Confession time) I haven't been able to sit down long enough to watch the first season of Downton Abbey, even though I want to. Truly. I can tell you this. The novel is written well. The author has an intriguing plot, and if you like "upstairs/downstairs" storyline - I have a suspicion you will LOVE this book. Don't let my "fail" keep you from discovering a new author. 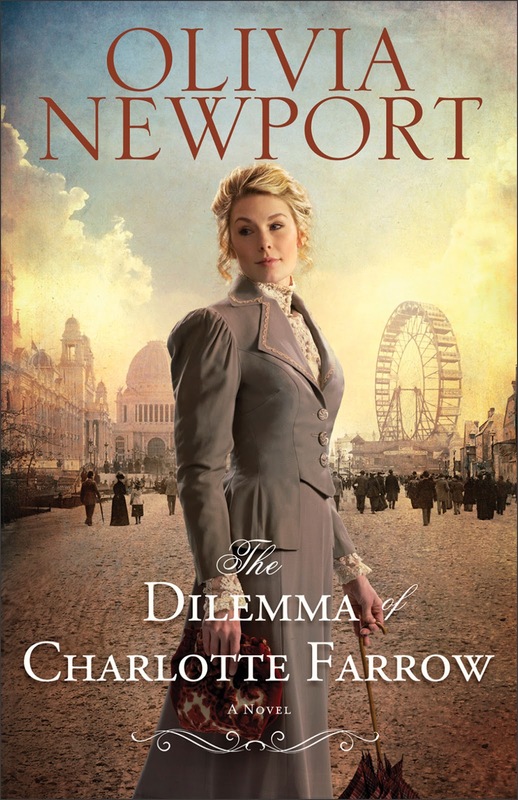 While the rest of Chicago focuses on the enormous spectacle of the 1893 World’s Columbian Exposition, Charlotte Farrow’s attentions are entirely on one small boy-her boy-whom she has kept a secret from her wealthy employers for nearly a year. Olivia Newport is the author of The Pursuit of Lucy Banning. Her husband and two adult children provide welcome distraction from the people stomping through her head on their way into her books. She chases joy in stunning Colorado at the foot of the Rockies, where daylilies grow as tall as she is.